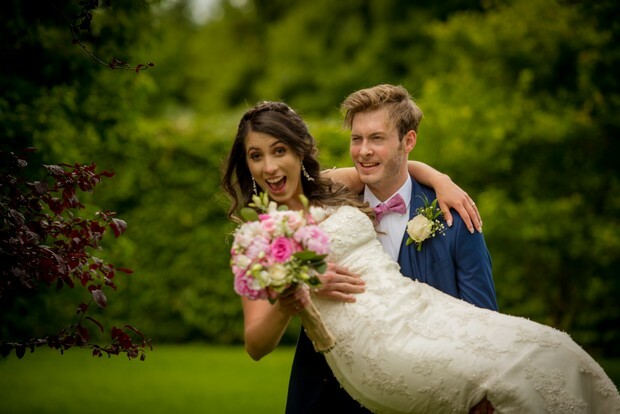 We met… at a church during the period I was studying through a scholarship in NUIG. 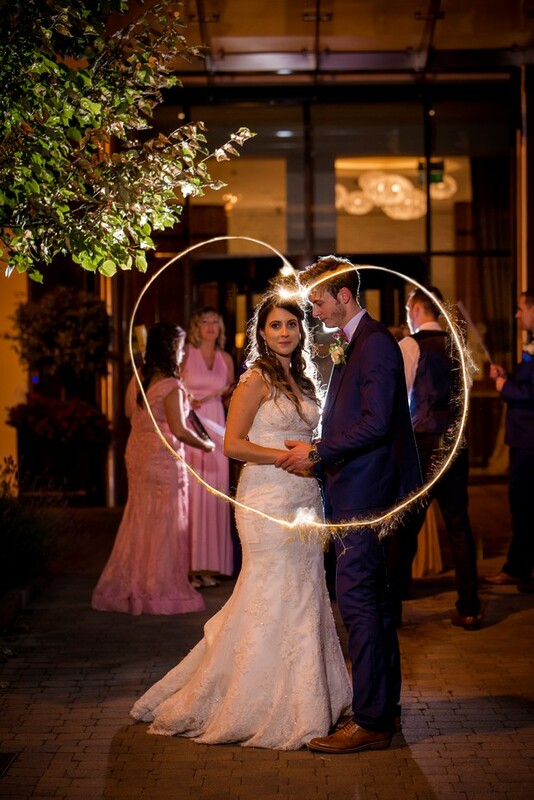 After finally finding each other on Facebook through mutual friends, we began to message back and forth for some time and the sparks began to ignite. 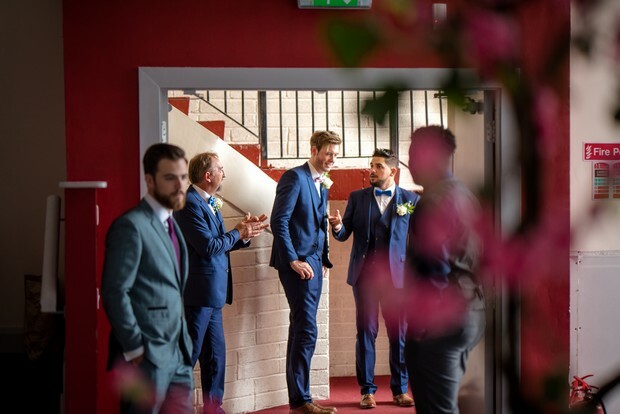 Then Adam invited me to a gig where he was playing in Monroe’s in Galway City, I went there with some friends and after the gig Adam asked for my phone number. 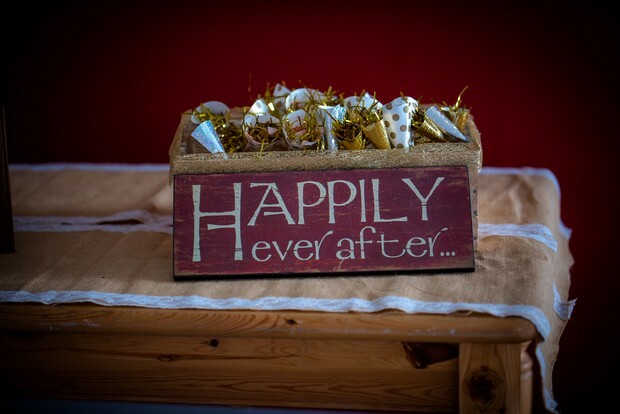 From that point on we began to message back and forth and shortly after that we began to date. 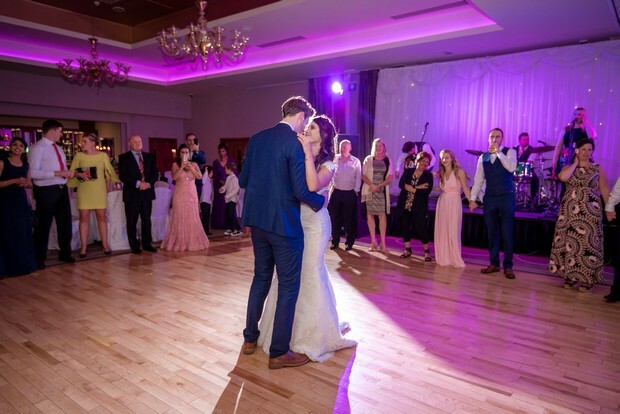 Our proposal… took place in Kylemore Abbey in Connemara, one of my favourite places in Ireland. 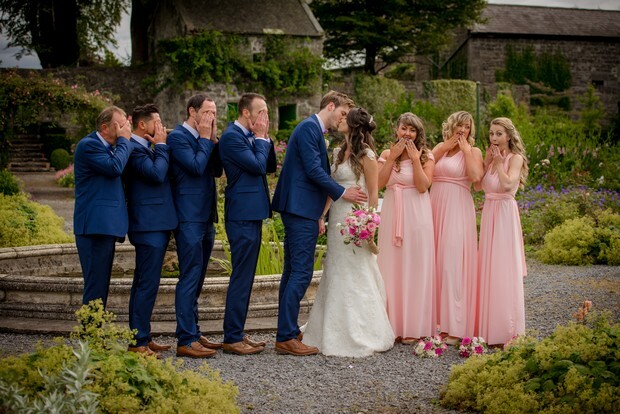 The proposal was not a surprise, I was fully aware it was going to happen but yet it was an extremely special moment. 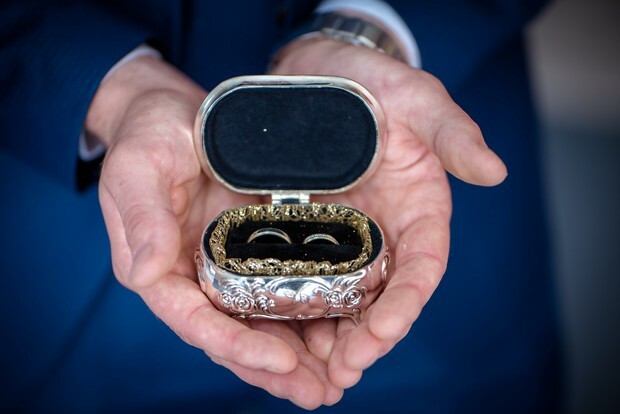 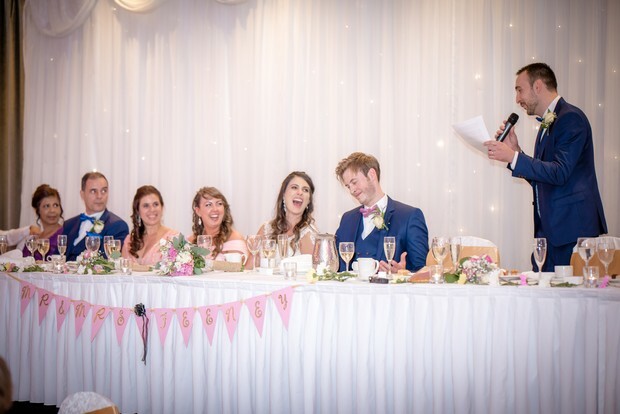 Both our families had no idea and it was a huge surprise (besides my father – Adam had asked for his permission!). 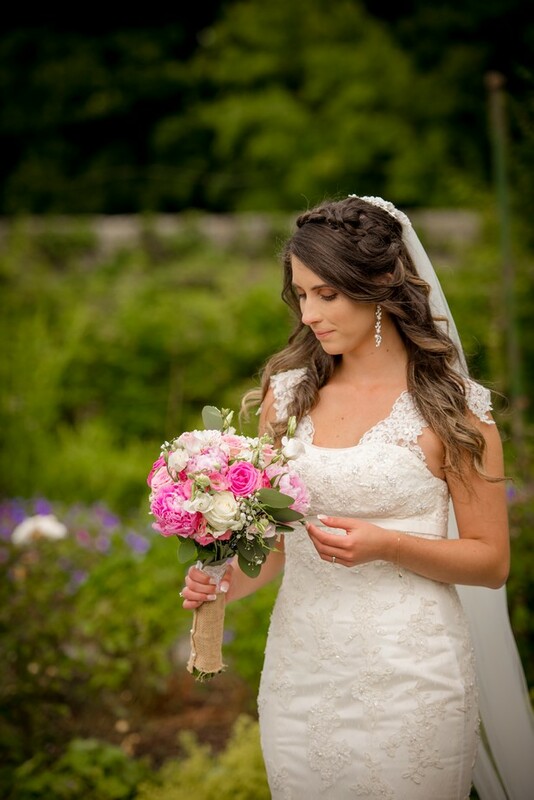 My hair and make-up… were very natural, I wanted loose curls with a crown braid and a summer glow for my make-up. 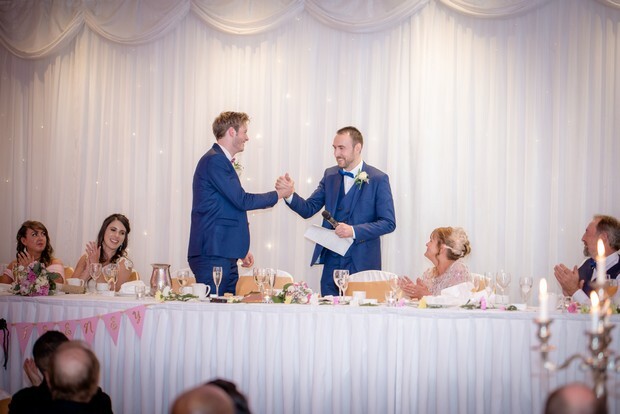 His suit… was from Hanley’s in Galway and was a modern blue colour with a pink bow tie. 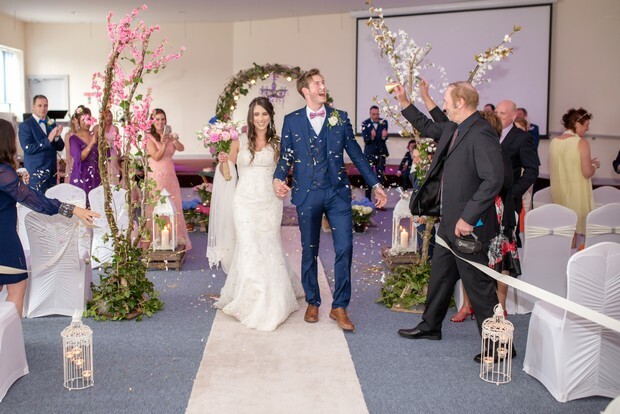 Our ceremony… took place in Discovery Church in Galway City. 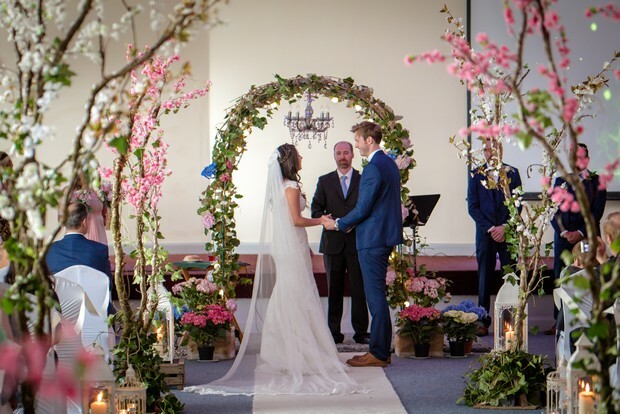 We choose a fairy/enchanted forest theme for the church décor. 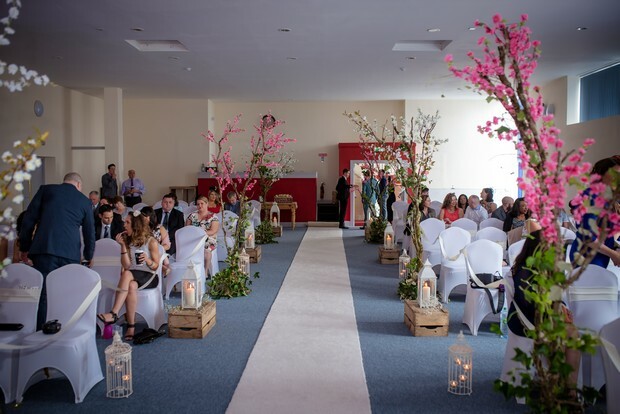 We used loads of candle lanterns and personalised cherry blossom trees. 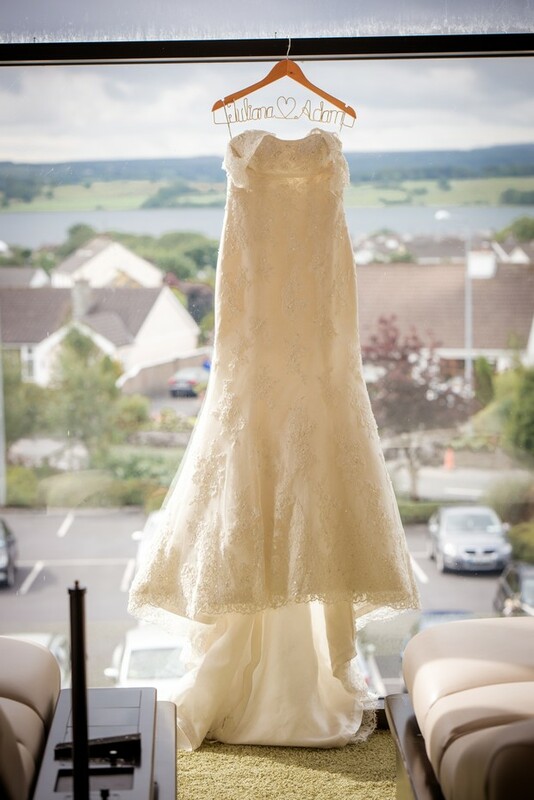 My dress… was from the designer Maggie Sottero in a mermaid style with a veil made by my grandmother. 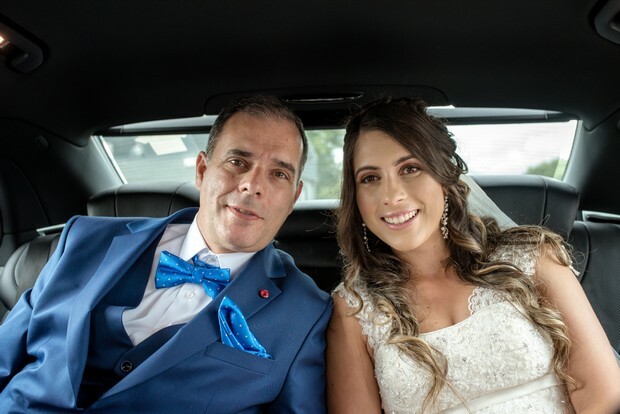 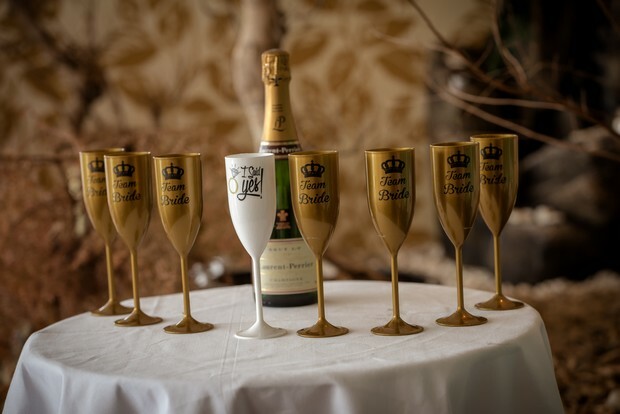 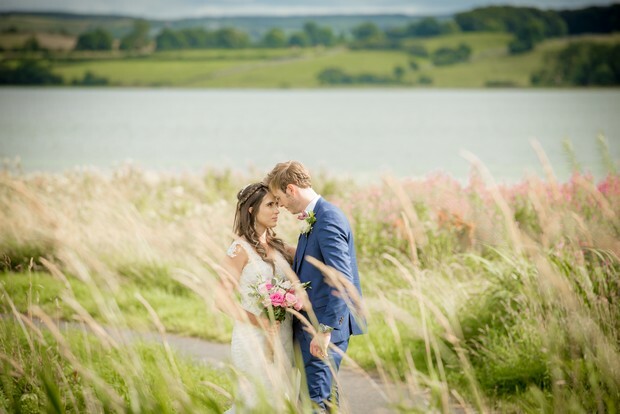 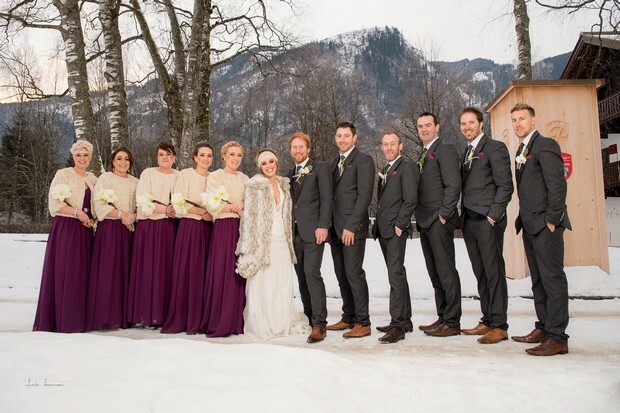 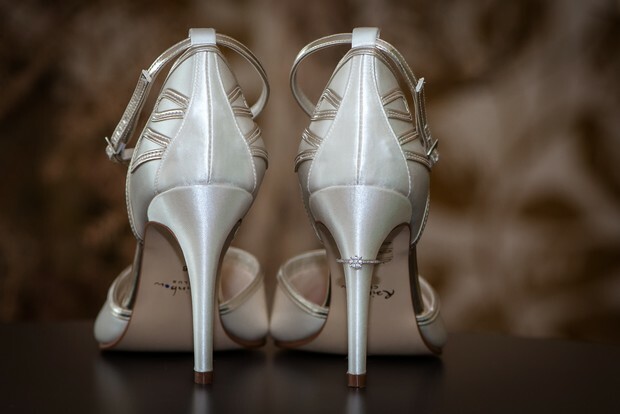 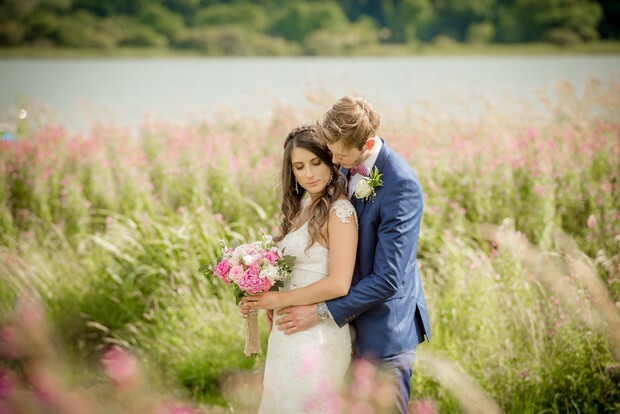 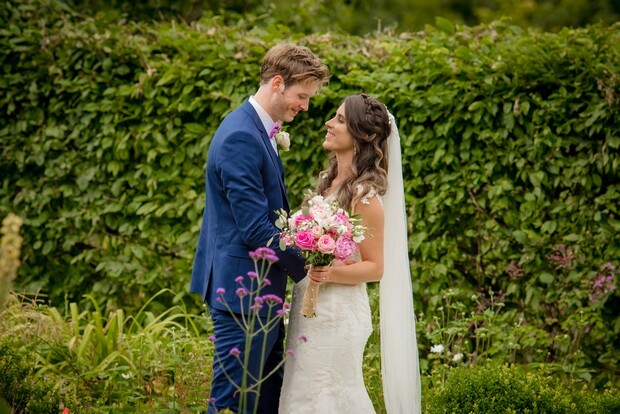 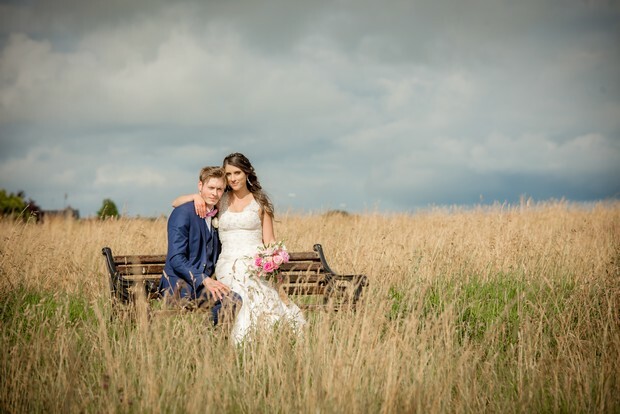 We chose our photographer because… after a long period of searching for a photographer that fitted our style and taste, Paul Duane Photography fitted our description perfectly. 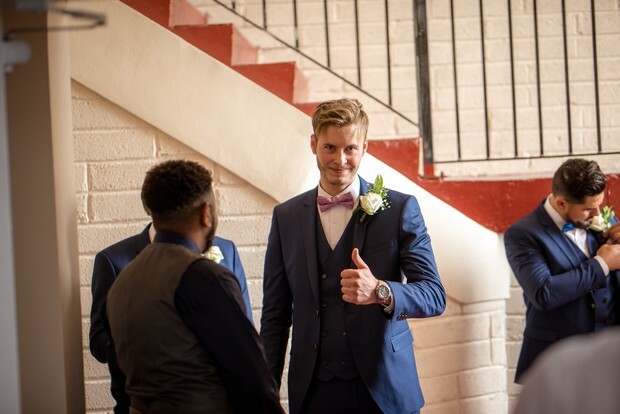 He was extremely professional and very friendly and just really loved doing what he does and wanted what’s best for us. 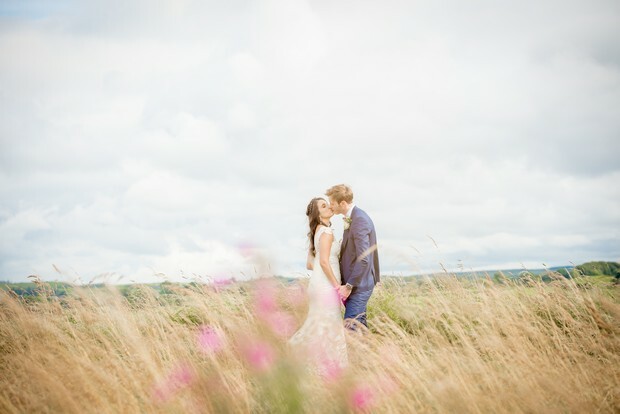 Our pre-wedding photos that Paul took blew us away and exceeded all our expectations so we knew our wedding photos would do the same. 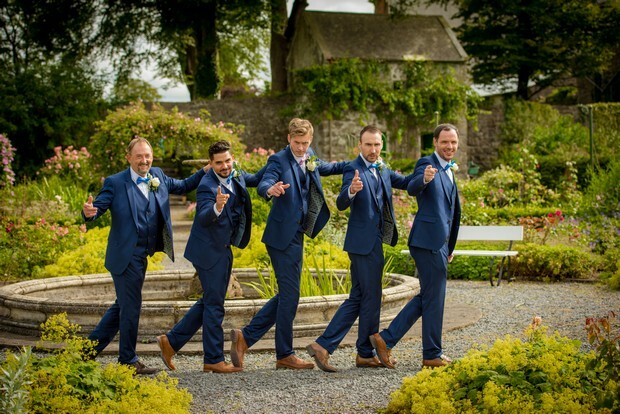 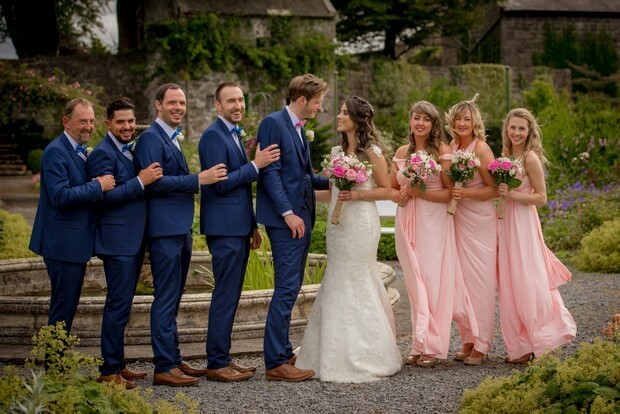 What our bridal party wore… pale pink multiway style dresses for the bridesmaids and the groomsmen wore modern blue suits with blue bow ties. 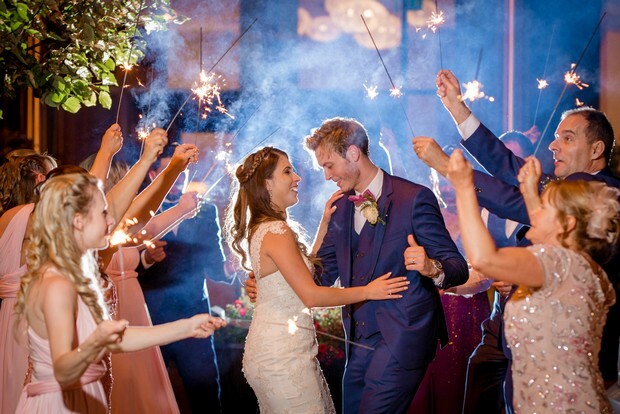 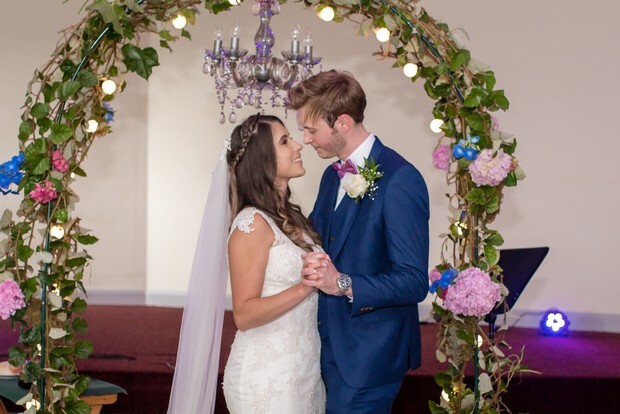 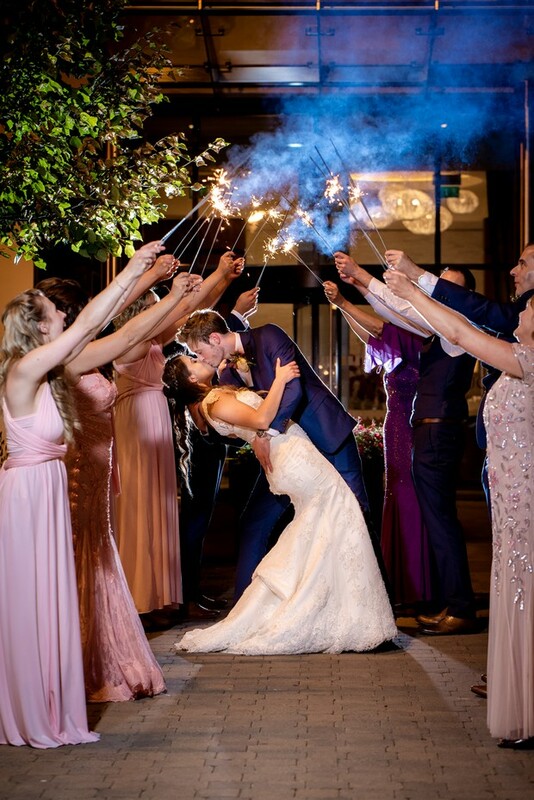 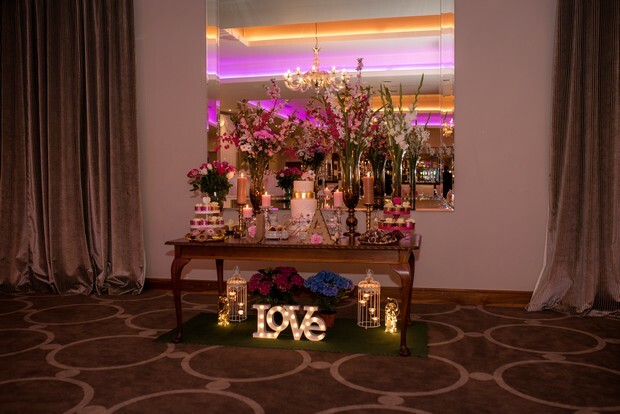 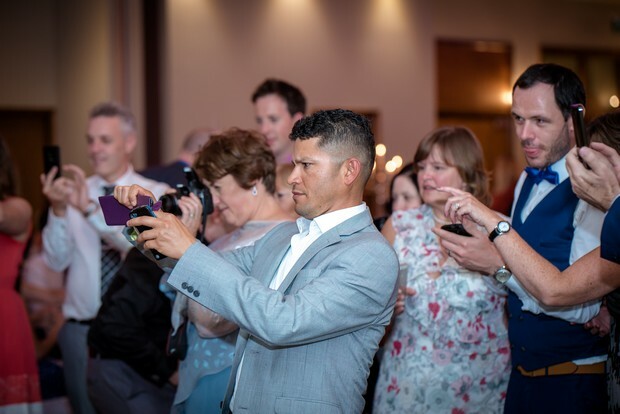 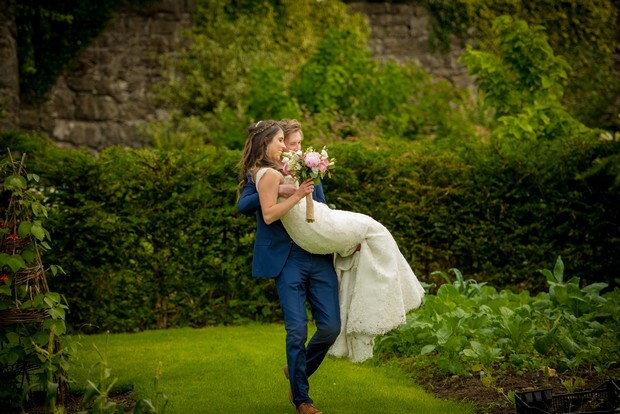 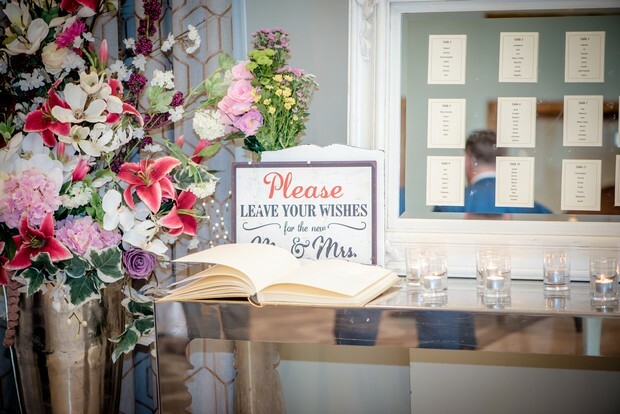 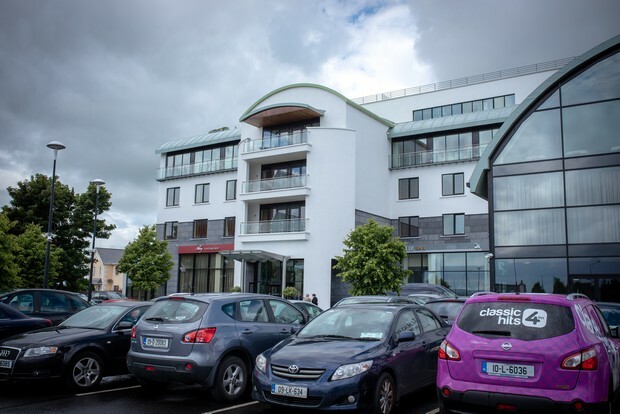 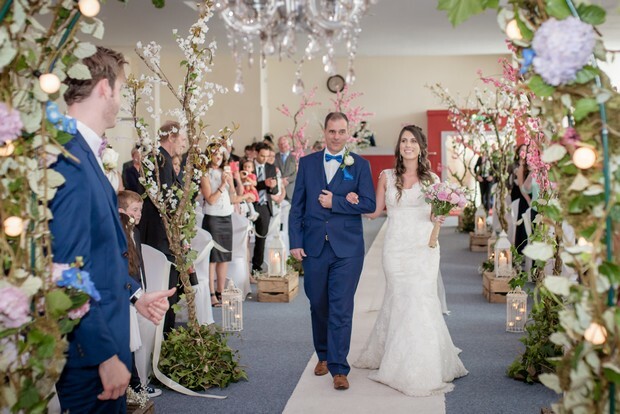 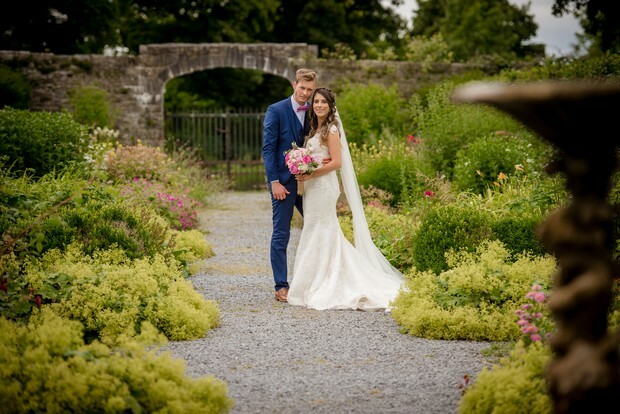 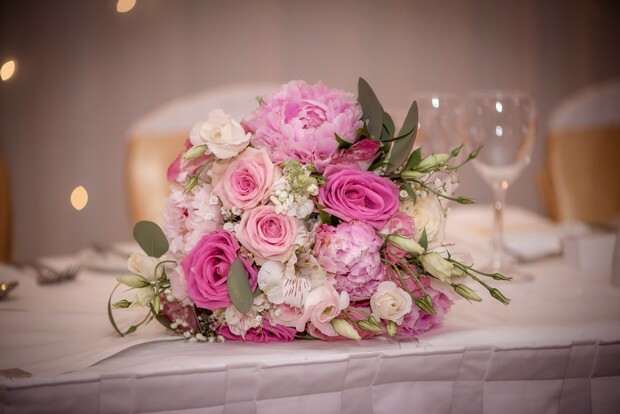 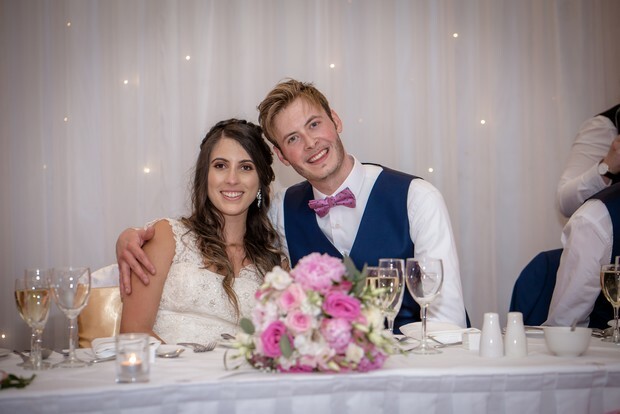 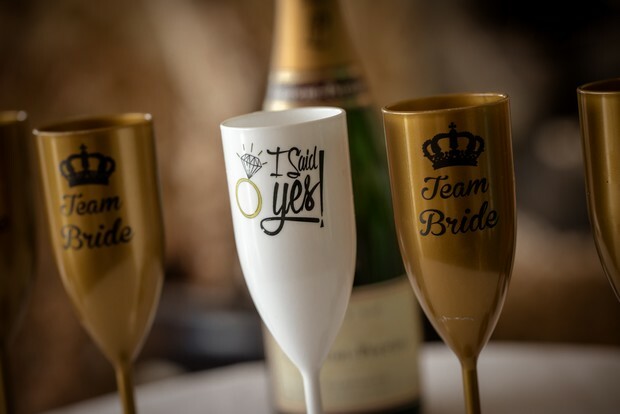 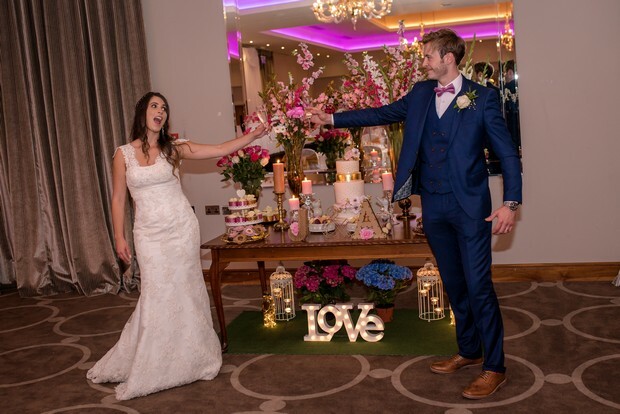 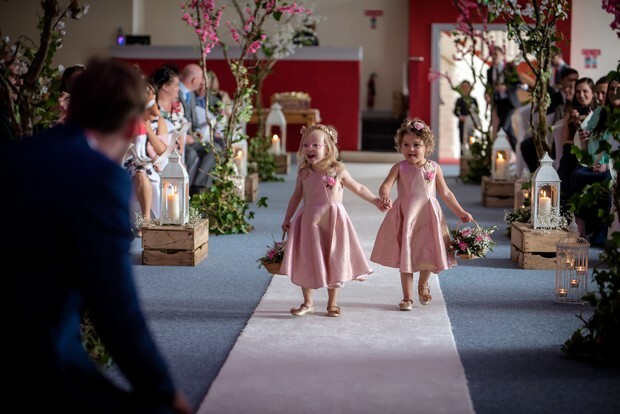 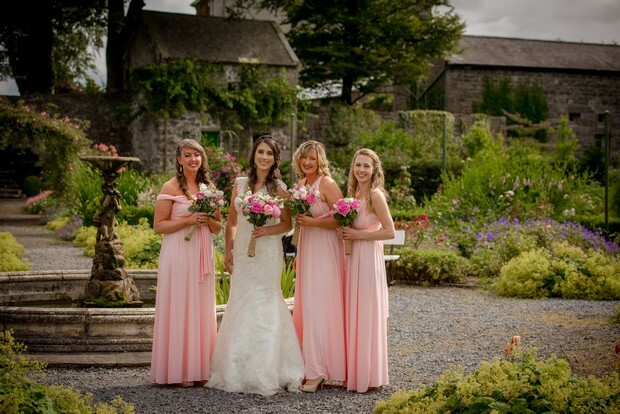 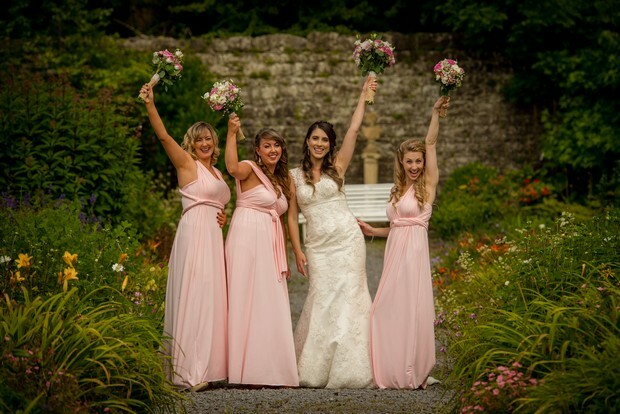 We chose our venue because… we visited and looked in to lots of venues around Galway but we knew straight away Lough Rea Hotel & Spa was the one for us. 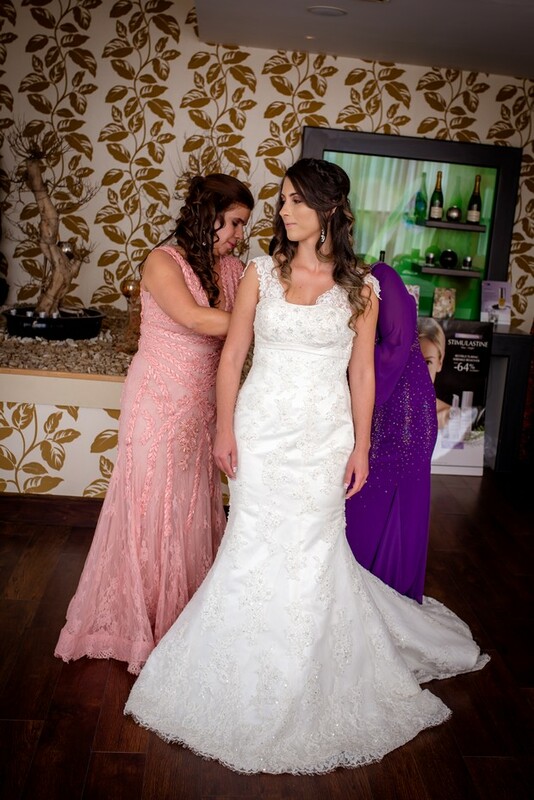 The staff are very professional and the attention to detail was amazing. 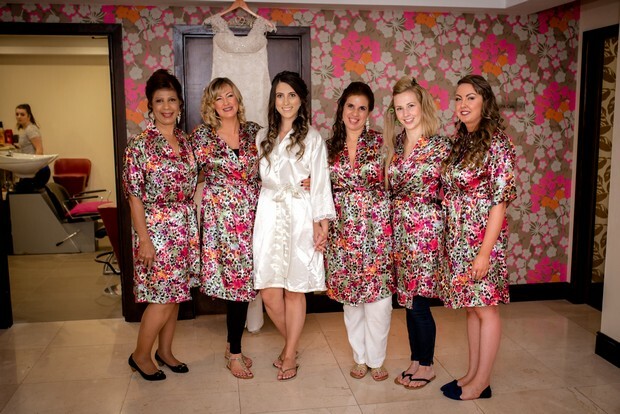 The wedding coordinator at the hotel, Karen Brady, was incredible. 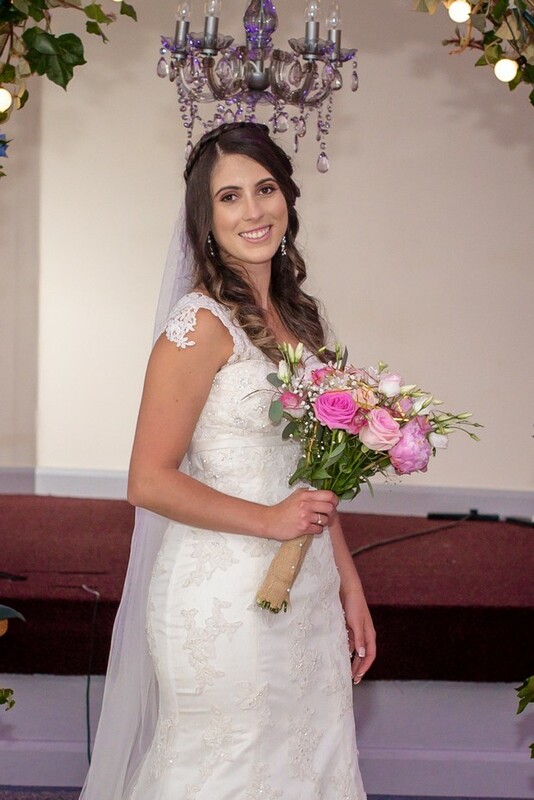 She did everything and anything to make our day as perfect and special as possible. 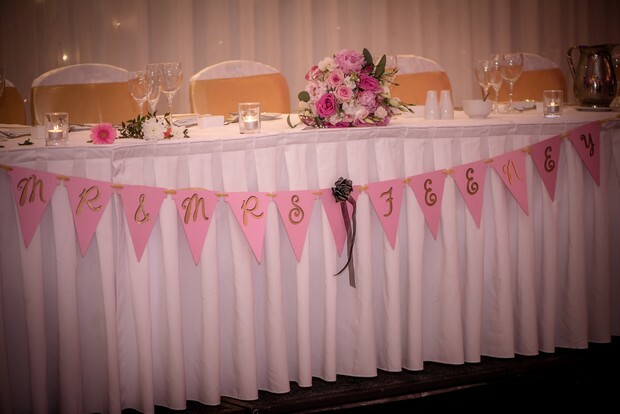 All those things made it the perfect venue for us. 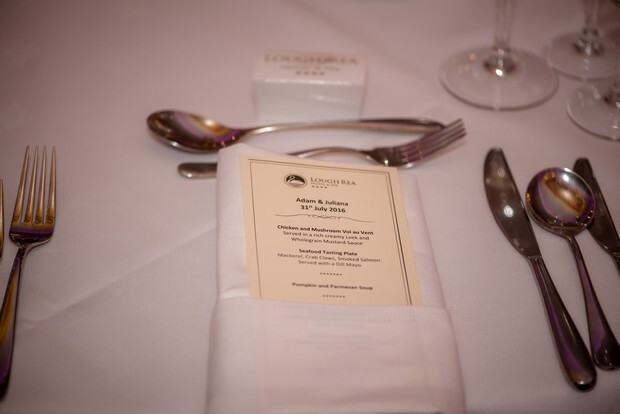 Our menu… our menu was a four-course meal which included a Sea Food platter for starter or Chicken vol-au-vent, a delicious Pumpkin & Parmesan soup, a choice of Salmon or Roast Beef for main course, and finally a selection of mixed desserts followed by tea and coffee. 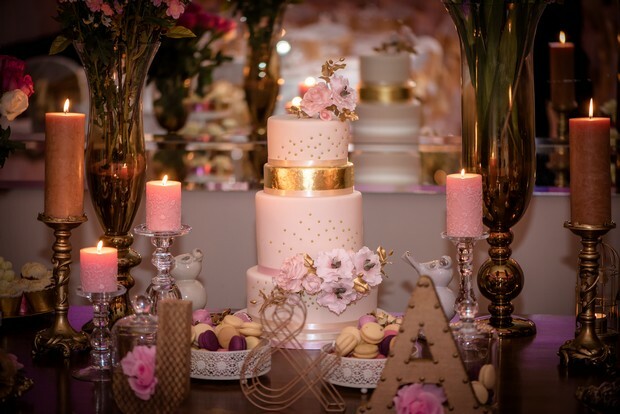 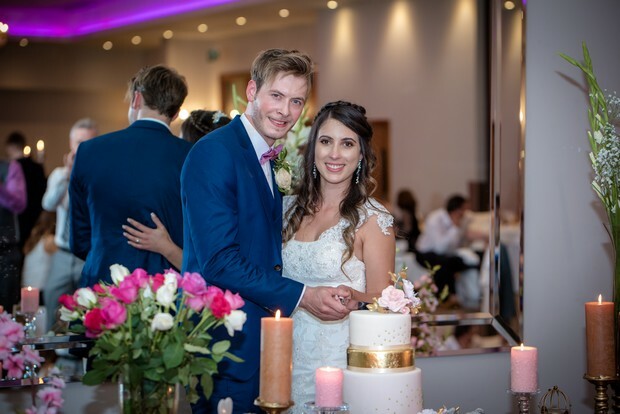 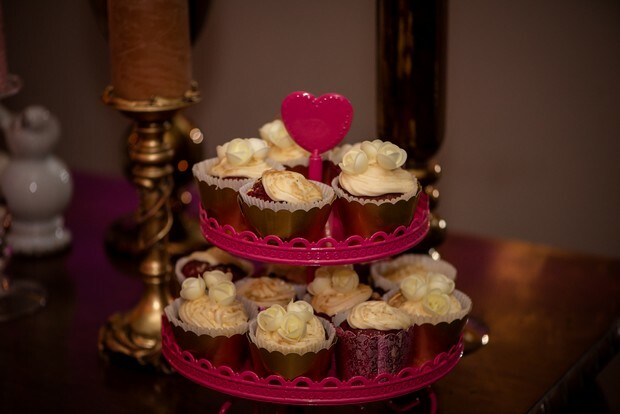 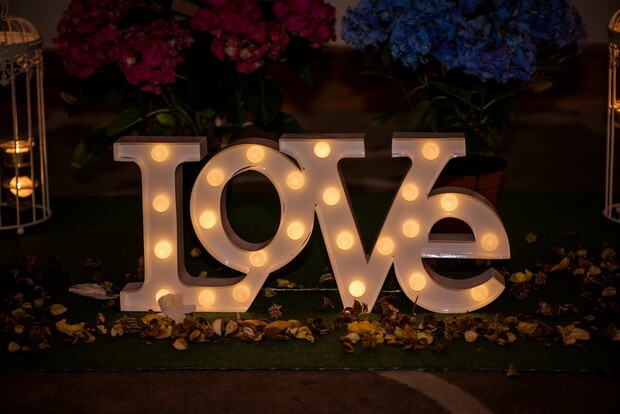 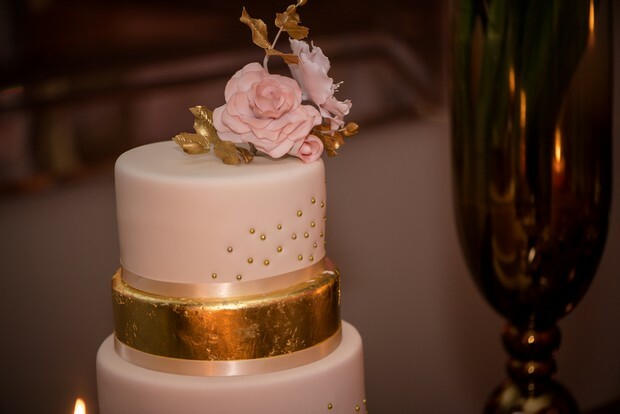 Our wedding theme/colours… were pale pink and gold with a shabby chic style. 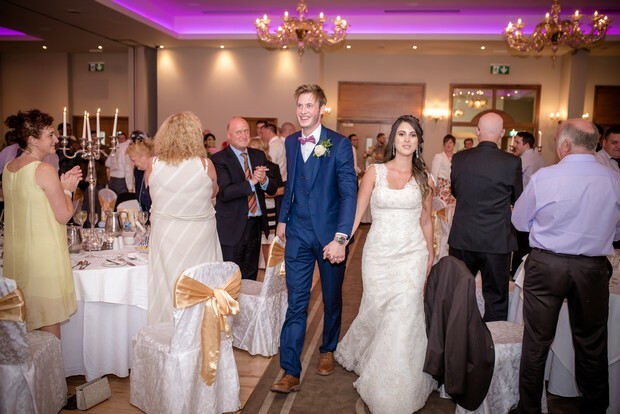 My favourite part of the wedding day… was walking up the aisle. 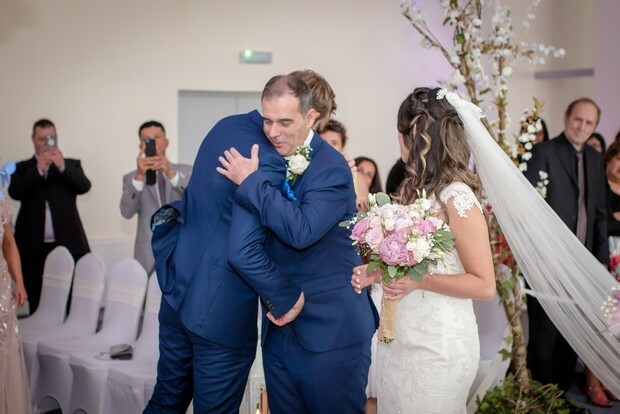 Seeing Adam, the love of my life, waiting for me was such a special moment – a dream come true. 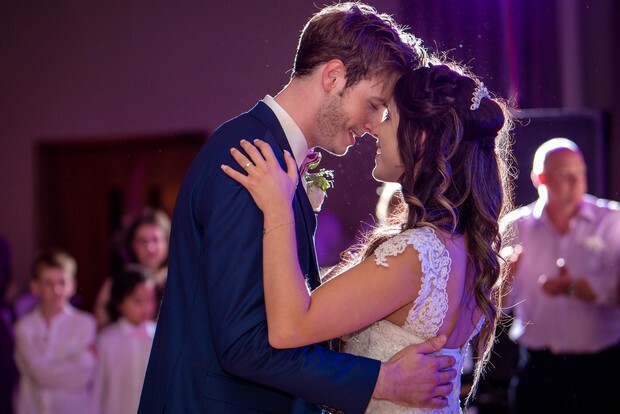 And being able to do this with our families and friends around was extra special. 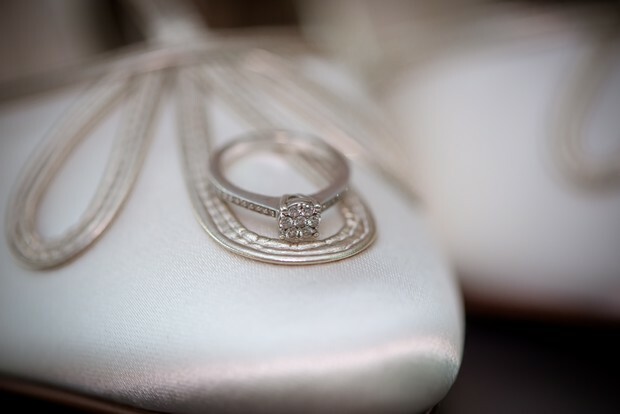 My piece of advice for other brides… don’t be afraid of choosing what YOU and your partner want, it’s your wedding after all. 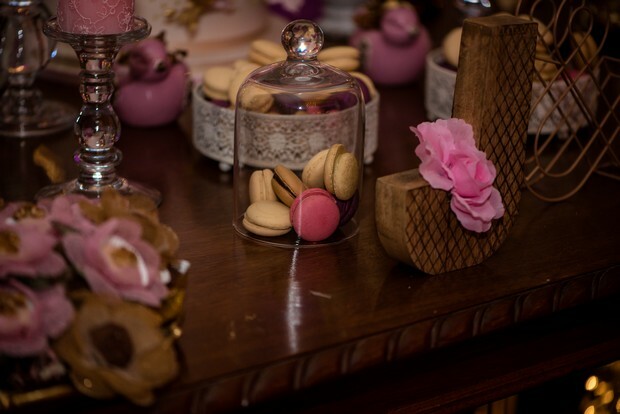 Be creative, make that extra effort, it will be so worth it.